Getting close enough to the ballpark to park could cost you as much as $150. Some San Francisco Giants fans are shelling out stacks of greenbacks for the pleasure of parking their cars around AT&T Park, according to reports. 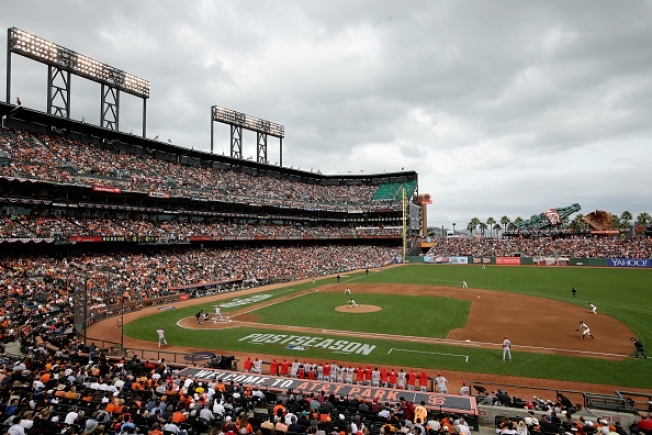 A parking spot around the ballpark is now fetching $100 or more, according to the San Francisco Chronicle. And for the most part, Giants fans appear to be paying the piper cheerfully. One fan, 50-year-old Steve Ladrech, of Martinez, told the paper that $70 to park "isn't horrible," nothing "it's the playoffs." Giants-owned lots, which can accomodate as many as 3,000 cars, are charging $45 to park instead of the normal $30 during the regular season. For once, the on-street parking with meters charging as much as $7 an hour seemed to be the best bargain. Those spots were long gone before the first pitch, however.